*By entering your email address and submitting the information above, you will be subscribed to Vertical Daily News. 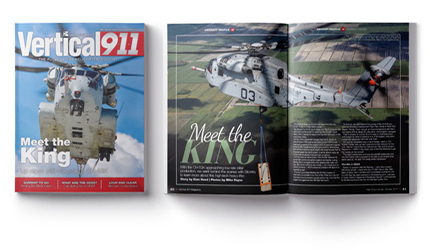 Your number one source for fixed- and rotary-wing coverage. 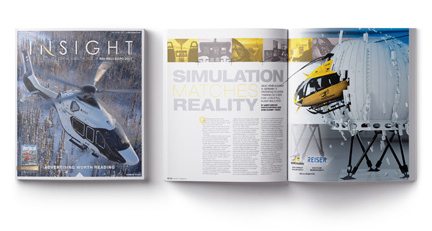 The premier magazine for extensive, in-depth coverage of the civil helicopter industry, Vertical magazine is the industry's "insider" publication. 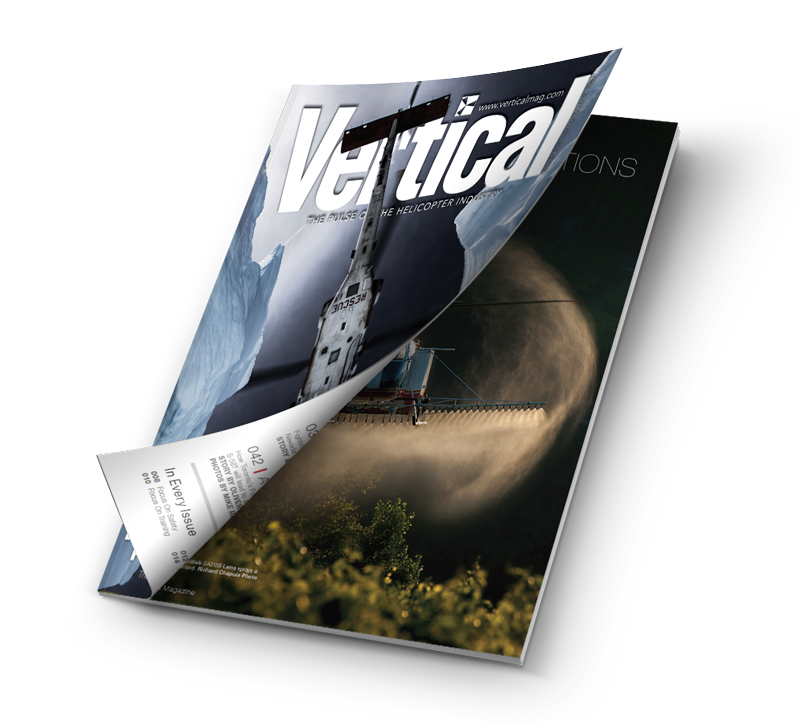 Published six times a year, Vertical provides a front-line, in-the-air, on-the-ground perspective with stories from some of the leading writers in the helicopter industry. Backed by stunning photography and groundbreaking design, Vertical focuses on the sectors, operators, and equipment in the rotary-wing world that interest and affect you most. Regular features include helicopter operator profiles, industry reports, flight test profiles, maintenance articles, new product releases, and avionics and industry news. Building on Vertical's established standards and reputation for excellence, Vertical 911 is targeted specifically toward parapublic, air medical, and military helicopter operators, with a special focus on the knowledge and technology that further their missions of public service. 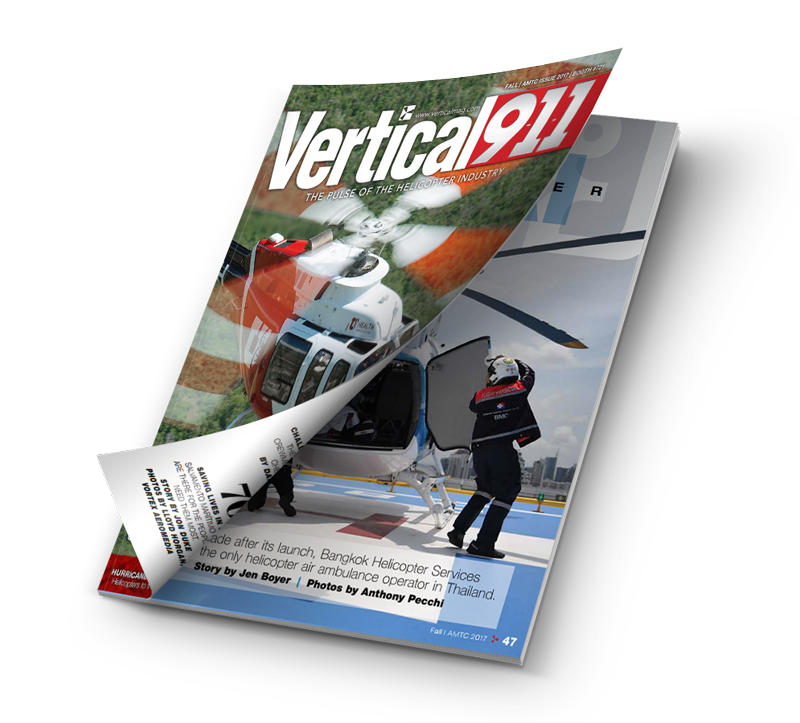 In addition to the from-the-field reporting and spectacular photography for which Vertical is famous, Vertical 911 incorporates regular columns and features from subject matter experts, who have unique insights into the challenges faced by the helicopter industry's "first responders." While Vertical 911 has a strong North American focus, we travel far and wide to bring readers the stories that matter. Vertical 911 is distributed to a carefully selected list of industry professionals and devoted subscribers, with additional distribution at the industry's most important tradeshows. 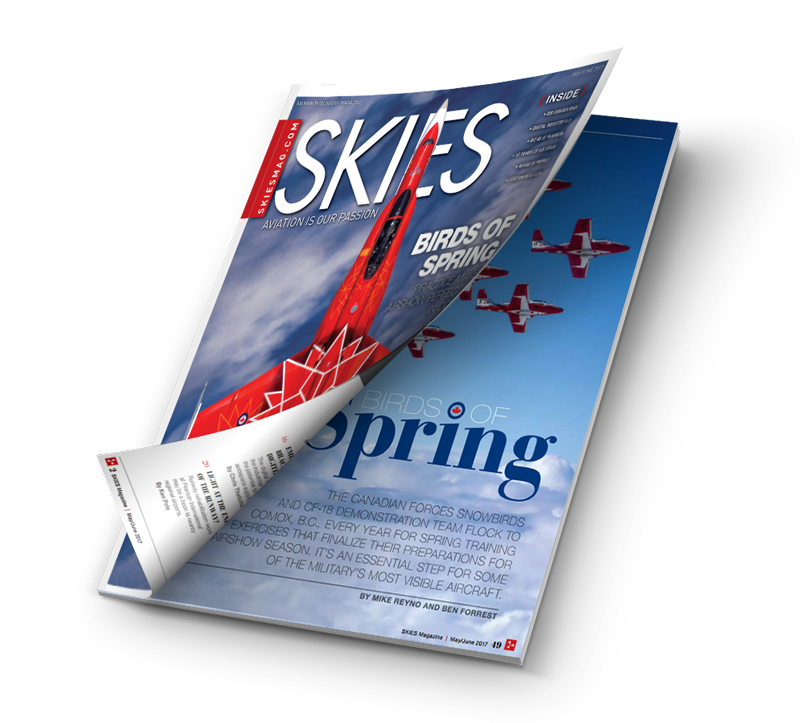 Since its debut in 2011, Skies has quickly gained a loyal following for its fresh approach to covering Canadian aviation. Each issue is packed with insightful stories, news, reports and feature profiles from all sectors of the industry: business, private, commercial, military, cargo, maintenance, training and more! Today, our print and digital reach extends to more than 60,000 readers in both Canada and the U.S.—readers who rely on us to deliver aviation's latest news and compelling features. Our journalists go into the field to write the stories that define Canadian aviation and we illustrate their work with our signature breathtaking photography. 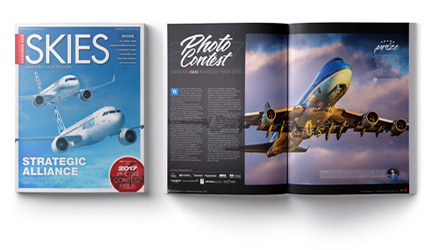 Published bi-monthly, Skies is also complemented by its online brands, Skiesmag.com and the free Skies Daily News e-newsletter, as well as our social media feeds on Facebook, Twitter and Instagram. 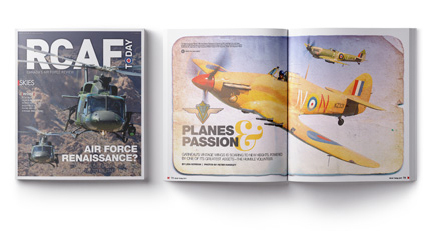 RCAF Today is a special bi-annual publication produced by Skies magazine. 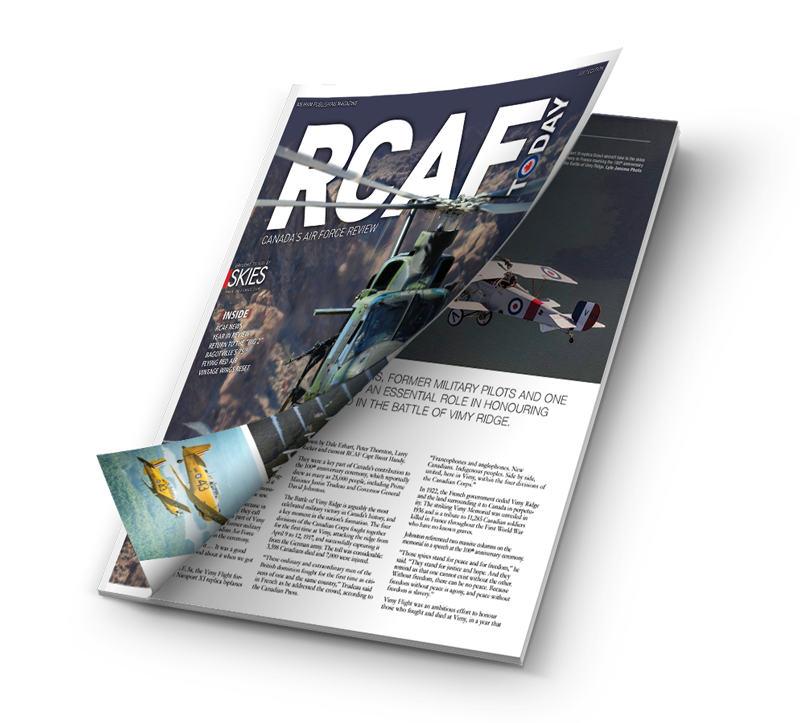 Firmly focused on celebrating the accomplishments of the Royal Canadian Air Force, its editorial content highlights RCAF activities at home and around the world. The magazine is a glossy tribute to the hard work, challenges and accomplishments of the men and women of Canada's Air Force. RCAF Today is distributed to the Department of National Defence headquarters, senior RCAF personnel, government procurement officers, public works, every Wing across the country, Air Force public affairs, and embassies and attaches around the world. The magazine is also sent to key defence-related events, including the annual CANSEC tradeshow in Ottawa. 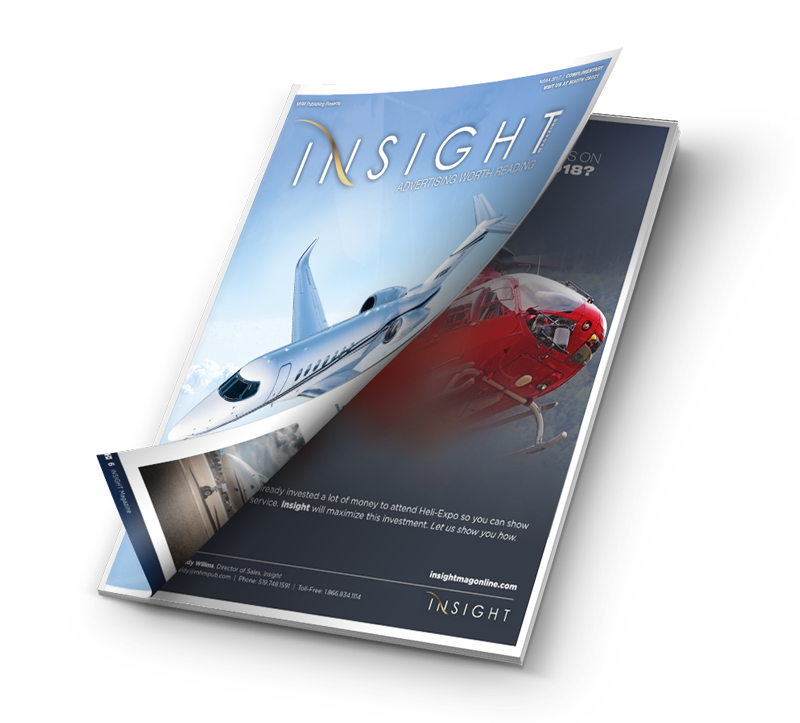 Insight is a premium-quality magazine that helps your company rise above the crowd. We custom-build each issue for aviation tradeshows, with the same standards we bring to other industry-leading publications like Vertical and Skies. Our team of professional writers, editors, designers and photographers works with you to deliver an in-depth feature story with an eye-catching layout that can't be missed. The best part is, we do all the heavy lifting. Our job is to help you share your message in the most compelling way possible. Insight digs below the surface. It cuts through the noise. It's not just another tradeshow publication ... it's advertising worth reading. 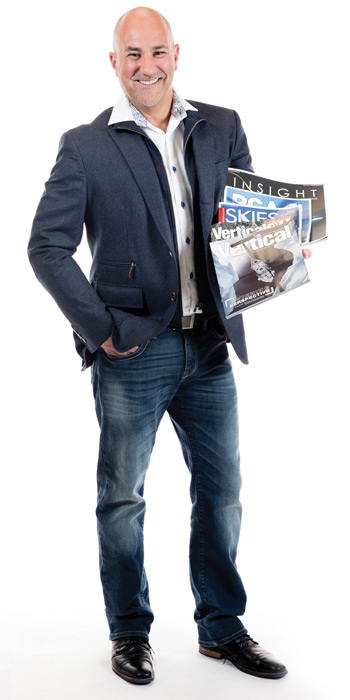 Involved in the aviation publishing industry since the early '90s, Mike's experience and in-depth knowledge of aviation is the foundation that MHM Publishing's successful portfolio of magazines has been built upon. Linda is responsible for running MHM's day-to-day operations. With a strong background in marketing and sales, she is also responsible for everything from tradeshows to dreaming up new marketing ideas for MHM's portfolio. Derek is responsible for a portfolio of sales, marketing and communications for all MHM brands. With over 20 years of sales experience, he draws on an extensive background and a straightforward, low-pressure sales approach. 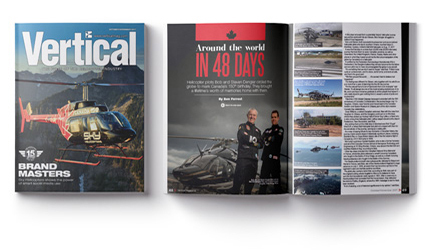 Oliver focuses on the rotary-wing industry, writing and editing stories for Vertical and verticalmag.com. He has been with MHM Publishing for five years, working as online editor, managing editor, and now editor-in-chief of Vertical. 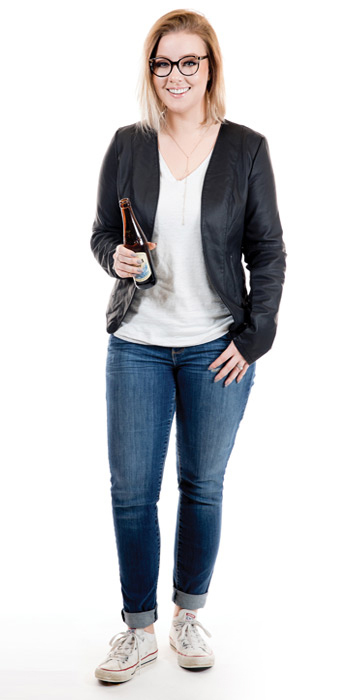 Lisa Gordon is editor-in-chief of Skies and RCAF Today magazines. Prior to joining MHM in 2011, Lisa worked in association publishing for 10 years. Before that, she enjoyed working at several aviation organizations. An award-winning journalist, Elan serves as MHM Publishing's special projects editor. She is also an FAA Gold Seal flight instructor with helicopter and instrument helicopter ratings, and holds commercial helicopter licenses in the U.S., Canada and Australia. 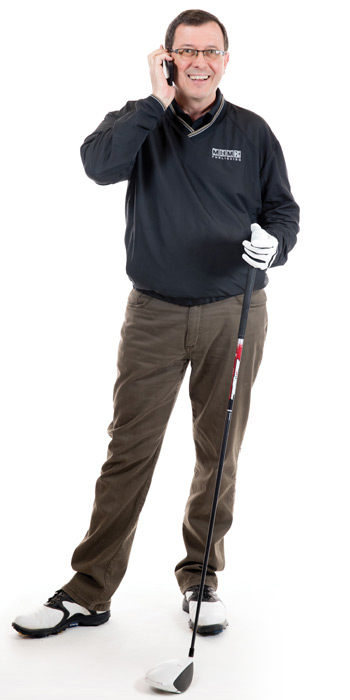 Tim has been director of sales and marketing with MHM since 2011. With more than 30 years of sales and publishing experience, he specializes in identifying his customers' needs and designing programs that fit their goals. Carla has been involved with Vertical from the early days of the magazine, juggling many positions before moving into her current position as Marketplace sales manager. She also assists with the other brands that MHM offers. Leanne joined MHM in 2007. Besides managing the subscription lists and handling the Vertical careers page, she is also project manager for Insight. Always stylish, Leanne loves makeup and fashion. Mostly, though, she loves to laugh! 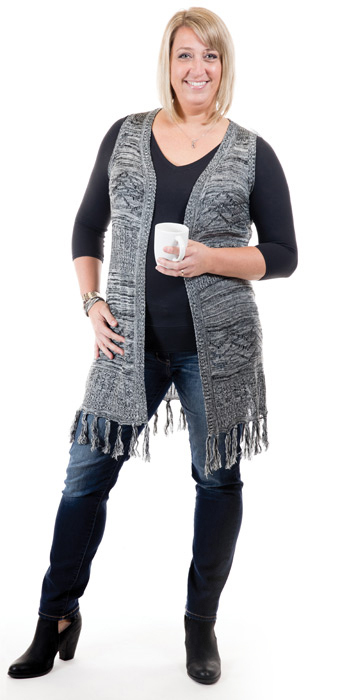 Creative guru Jen plays an integral part in shaping the stylish, cutting-edge design of MHM's many publications. Outside work, she is an avid Toronto sports fan (go Jays & Raps!) and loves a drink on patios with friends. When not busy designing the MHM family of magazines you know and love, Kaytlyn enjoys home renos, canoeing, and camping. Before joining MHM, she studied at Sheridan College, where she earned a bachelor of applied arts in illustration. 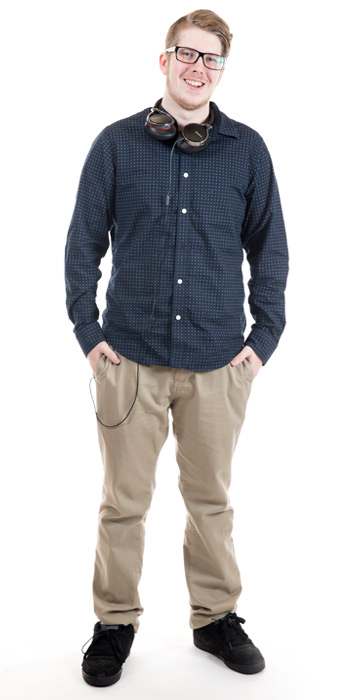 Shawn is a passionate web developer with a focus on front-end development and a thirst for knowledge about all things digital. 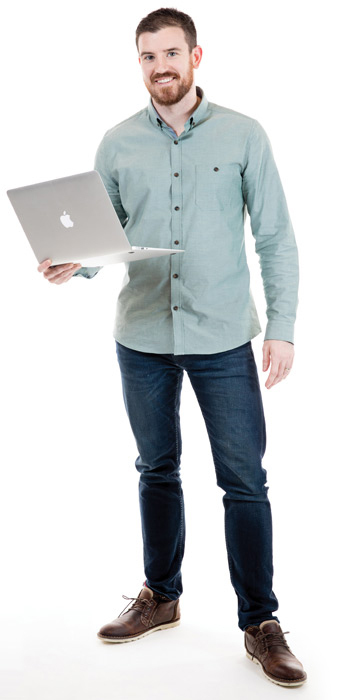 He wants to make a difference and has set out on a mission to improve the World Wide Web one website at a time. With several years of experience in accounting and financial analysis, Janet joined MHM late in 2015. She has a bachelor of commerce degree from Memorial University of Newfoundland, and currently spends her spare time working towards her CPA designation. Whether you have a general inquiry or would like to order a poster, when you call MHM Publishing there's a good chance you'll be speaking with Lori. 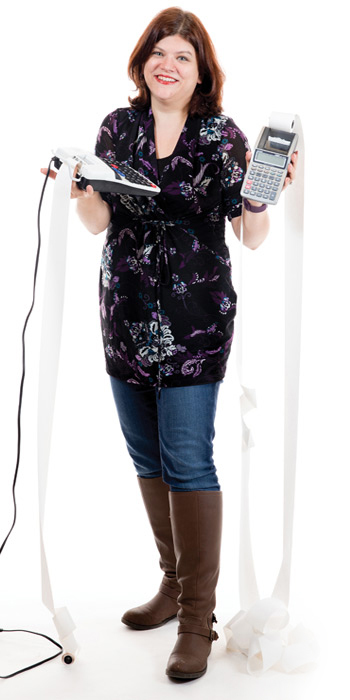 Since 2010 she has taken on invoicing, mail and managing subscriptions. After working in the medical field for 15 years, a change to MHM was just what she needed. The part-time position allows her time at home with her husband of 21 years and two children who are busy with sports and school.